And remember how Republicans and conservatives jumped all over this statement, taking it out of context and trying to say that Obama thinks people can’t take credit for the businesses they build? 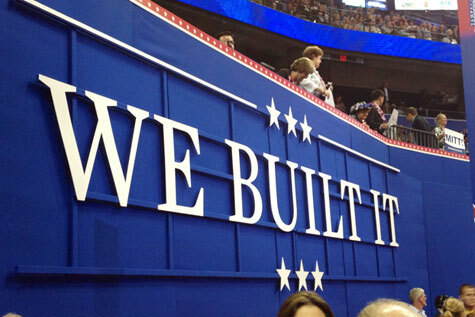 And remember when Republicans centered their entire convention around this theme with the slogan “We Built It”? It was all based on a lie of course. The president never said you didn’t build your business, he was referring to the “roads and bridges” and the “unbelievable American system.” He was simply saying what many liberals have said before, that nobody makes it on their own. It’s hardly a controversial statement. Republicans may have thought they had the election wrapped up after Obama made the above statement, but unfortunately for them, this statement never stuck with the public. It didn’t change the polls, and the “We Built It” theme of the Republican National Convention didn’t gain much traction either (beyond the conservative bubble). Now we might know why. Barack Obama recently said that if you have been successful, you did not get there on your own. There was a great teacher somewhere in your life. Somebody helped to create the American system that allowed you to thrive. He said if you have a business, you didn’t build that, somebody else made that happen. When we succeed, we succeed because of our individual initiative, but also because we do things together. Does this make you feel more positive or more negative about Barack Obama, does it not make much difference in your opinion or do you not know enough about this to have an opinion at this time? Results shown reflect responses among registered voters. So it turns out Obama’s “you didn’t build that” statement was a net positive, and this really shouldn’t be a surprise. Most of the country is made up of workers, not entrepreneurs. Obama’s statement is much more inline with how most people think; that individuals do not make it on their own. It requires teachers, roads, bridges and other help from the community (not to mention the people who work for the business) to make that business a success. 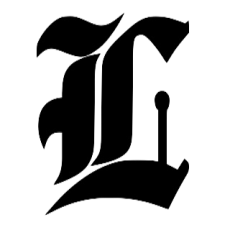 Mitt Romney recently said forty seven percent (47%) of people will vote for President Obama no matter what because they are dependent upon government, believe they are victims, and believe the government has a responsibility to care for them. He said his message of low taxes does not connect with the forty-seven percent (47%) of Americans who pay no income taxes so his job is not to worry about those people as he will never convince them they should take personal responsibility for their lives. Does this make you feel more positive or more negative about Mitt Romney, does it not make much difference in your opinion or do you not know enough about this to have an opinion at this time?